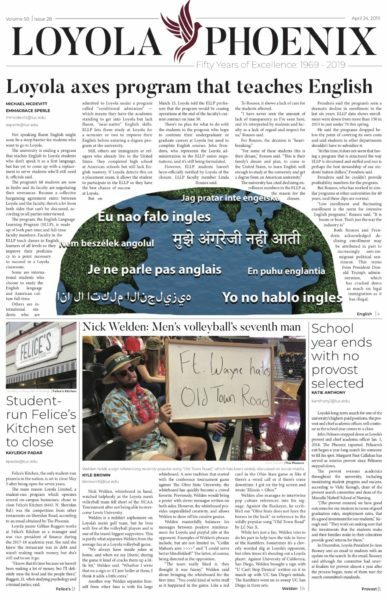 Henry Redman | The PHOENIX The Loyola men's basketball team won at least a share of the regular season title and is subject to be sole champion if it wins over Southern Illinois University Feb. 21. 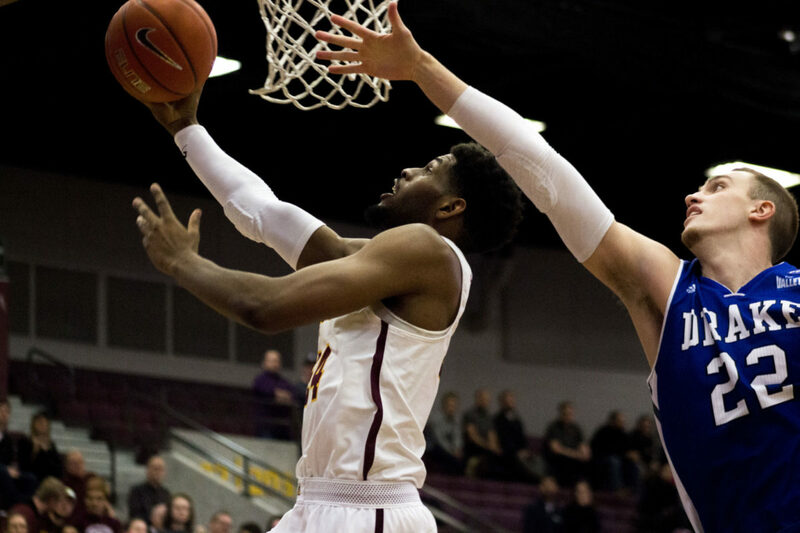 The Loyola men’s basketball team (23-5, 13-3) clinched at least a share of the Missouri Valley Conference (MVC) regular-season title with a 76-66 win over the University of Evansville Feb. 18. Since joining the conference in 2013, this is the first time Loyola has won the MVC and this is Loyola’s first conference title since winning the Midwestern Collegiate Conference in 1987. The Ramblers currently hold a two-game lead over Southern Illinois University (SIU) with two games left in the regular season. Loyola can win the MVC outright with a victory over the Salukis Feb. 21 in Carbondale. Despite ending the conference title drought, head coach Porter Moser said his team hasn’t had time to think about it because the players are focused on the upcoming game against Southern Illinois. Redshirt junior guard Marques Townes led Loyola with 22 points against Evansville, ending one point shy of his season high. Redshirt junior guard Clayton Custer continued his impressive stretch since his return Jan. 7 from an ankle injury, scoring 17 points while grabbing seven rebounds and dishing six assists for the win. Loyola is now 21-2 when Custer is in the lineup, while going 2-3 while he was out with an ankle injury. Custer, who has put himself in contention for the MVC Player of the Year award, said there’s still work to be done, despite securing one of the top spots in the MVC. Southern Illinois has been one of the hottest teams in the MVC as of late. The Salukis have won eight of their last nine games since falling to Loyola 79-65 at Gentile Arena. SIU is 13-2 at SIU Arena this season and has four players averaging double-digit points. Redshirt junior guard Armon Fletcher leads the way with 14 ppg. Senior guard Ben Richardson, who’s also been instrumental to Loyola’s success this season, said facing SIU won’t be easy because of how well the Salukis have been playing. 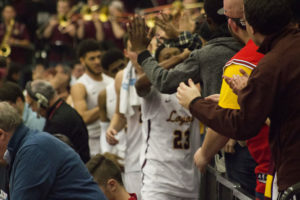 After taking on SIU tonight, Feb. 21, Loyola is scheduled to round out the regular season against Illinois State University at Gentile Arena Feb. 24 before the conference tournament starts March 1 in St. Louis.